Using a butter knife, spread peanut butter in the cavity of each of the celery rib halves. Pierce each of the celery ribs with two toothpicks (one at each end), pushing all the way through. This forms the axle for the car's wheels. 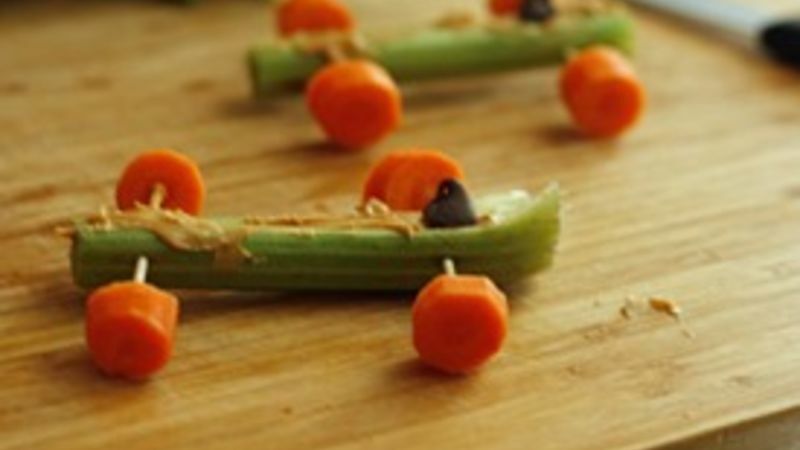 Attach carrot rounds to the ends of the toothpicks (4 per car). Place one chocolate chip on each car (this is the driver's head! ).